Though the origin of the Digital Revolution, also termed as the Third Industrial Revolution, can be dated back to anywhere from the late 1950s to the early 1970s, the movement made a significant impact towards the latter half of the 20th century with the adoption and proliferation of digital computers and digital record keeping that continues to the present day. And if you’re a marketing strategist, you must have seen how the brands around the world have swiftly adopted the shifting trends in the industry to keep themselves abreast the competition. From radio and TV spots, to print and billboards, and then to digital display boards, the most competitive among the businesses have never shied away from embracing what’s in vogue to build their brands and win the attention of their customers. The next big leap that these brands have made in the last three decades or so has been the adoption of digital marketing, and to good measure, so to speak. ‘Digital Marketing’ is a broad term to describe an ever-evolving scenario that has come to include simple pop-up advertisements on popular websites to SEO, content marketing, blogs, SMO, and a plethora of other things. In this world of cut-throat competition and when nearly all the businesses consider finding an online presence as something unavoidable, an effective digital marketing strategy is what would give your brand an edge over others. Now, digital marketing is not just about using some online tools to promote your brand but also about providing your customer with the right kind of user experience that would make them want to come back to you again and again. It has been found that user experience is a very crucial element when it comes to conversion to business. 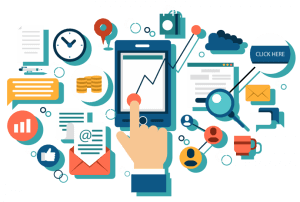 Be it your website or mobile app, good user experience is likely to generate more conversion. and is toggling between them. It is highly likely that he’d eventually make the purchase from the website or app that provides him with the best user experience. It’s important to understand that ‘user experience’ is not limited to how your website or app appears in his device. It also accounts for its ease of use, interactivity, the responsiveness of your app or website, live-chat option and much more. But you cannot load your web pages or apps with everything because then you’ll run the risk of slow-loading, which is a definite ‘No’ in this fast world. According to a recent study by Google/SOASTA, the probability of bounce rate increases by 32% when the page-load time goes from 1s to 3s, and it goes as high as 123% when the page-load time goes up to 10s. The answer to this challenge lies in optimization. You must make sure that your website or mobile app is optimized for responsiveness to the different devices being used, and the speed at which it loads over the different internet service providers. The right technology partner for your business would be able to guide you to achieve this. That you’ve got a great website, which is optimized structurally to fit into any device and offering many user-friendly features, is no reason for you to sit back and relax. How will your targeted audience reach your website? Who’s going to ask anyone to come and visit your website? If your brand is popular enough and if people just directly log into your website from their web browsers, nothing like it. But what about the others who’re not regular or even new to your website or app? How will you attract new customers? Make no mistake – search engines, primarily Google followed by Yahoo, Bing etc. are your best bet. And if your brand doesn’t appear in the top four or five, or at least get a place in the first page of search results, your business is as good as non-existent. According to a US-based digital marketing company, less than 10% of people would visit the second page of a Google search result, and if your brand is showing up on the second page, you’re practically invisible. Considering all this, investing in Search Engine Optimization, or SEO, would be worth every penny. And a good SEO strategy would be not just helping you write the content of your website pages loaded with ‘keywords’ but much more. You should have a right mix of on-page and off-page SEO done for your websites like creating back-links, Social Media Optimization (SMO), content optimization and much more. Having said all that, be aware that seeing SEO results would take time but it would be worth the wait. The study further revealed that email is best used for retention, conversion, brand promotion, customer acquisition, and customer reactivation. The respondents also stated that emails delivered an average of 30:1 ROI. But does that mean that you must just send email after emails to your customers? Does that help? No, it won’t. As is the case with any other marketing techniques, email marketing has also witnessed a sea change in terms of execution. It has evolved from being just a mail with information that reaches your inbox to something more creative and interactive. 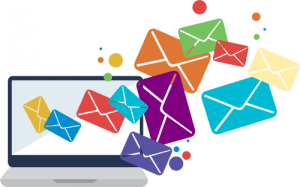 Email marketing today is more predictive, personalized, customized and also optimized to be read on mobile screens, keeping up with the changing trend of the marketing technology world. Even small elements like the subject line of your email to call-to-action can make a significant difference. Just implementing all the right design elements, SEO, email strategy and others is not going to ensure you better results for your business. You must make sure to use the right analytical tools to test and measure results accurately. Using the right Customer Relationship Management (CRM) tools optimally would be the key to your success in 2019. Using CRM tools, you can track your customers’ spending habit, nurture more leads and control sales process, which would ultimately help in expanding your business. Spericorn recognises the fact that digitisation has rapidly changed our brand perceptions since the past decade and ‘digital’ is the way of life ahead. As a recognised digital marketing company, we help our clients to boost their brand and stand out in the clutter using various content-driven digital marketing tools like SEO, SMO, content marketing, email marketing and much more. We also offer services like social media management, digital branding, targeted promotions, messaging services and much more to help you retain your loyal customers.